Read Justin's story in the Daily Trojan! 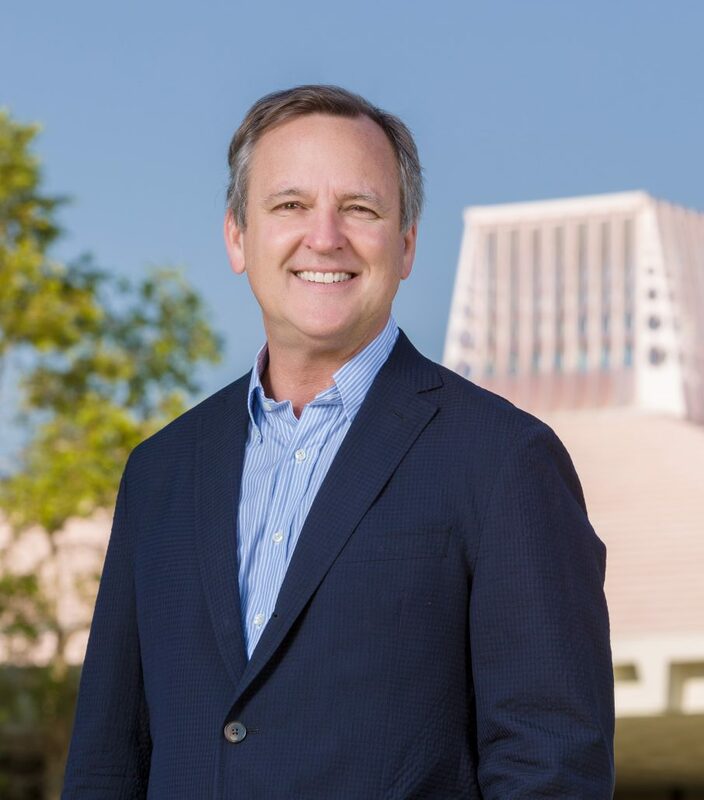 Following a nearly yearlong, nationwide search, Ambassador David Lane has been chosen as the next president of the Annenberg Foundation Trust at Sunnylands. Lane previously served as U.S. Ambassador to the United Nations Agencies in Rome. He succeeds USC Annenberg professor Geoffrey Cowan, who stepped down in June after serving six years as the inaugural president of Sunnylands. Sunnylands is the sprawling, 200-acre desert estate in Rancho Mirage, California, which served as the winter home of Ambassador Walter Annenberg and his wife Leonore, after whom the USC Annenberg School for Communication and Journalism is named. Following their deaths in 2002 and 2009, respectively, the estate’s board of trustees established the Annenberg Retreat at Sunnylands, a retreat center for government officials and private sector experts. Dubbed “Camp David of the West” by Cowan, and in the spirit of the Annenbergs’ vision for the estate, Sunnylands has hosted several high-profile meetings, including a 2013 summit between President Barack Obama and Chinese President Xi Jinping, a 2014 meeting with Obama and King Abdullah II of Jordan and the 2016 U.S.-ASEAN Leaders Summit featuring Obama and leaders from 10 nations. Countless retreats featuring Supreme Court justices, congressional leaders, filmmakers, musicians, artists and experts in various industries have also taken place there. USC has maintained a relationship with Sunnylands through Cowan, Annenberg, the School of Cinematic Arts and other USC-Sunnylands hybrid employees such as Geoffrey Baum, who served as managing director of the USC Annenberg Center on Communication Leadership & Policy for many years and currently serves as the chief communications and marketing officer at Sunnylands. Lane said he will maintain that institutional relationship. Lane said he wants to continue Sunnylands’ reputation as a place to bring people together, particularly congressional leaders. As ambassador, Lane led strategy-setting and governance of six multilateral agencies focused on food security, agricultural development, poverty alleviation, development finance and rule of law promotion. He advocated for inclusion of a “justice and accountable governance” provision in the UN’s recently adopted Sustainable Development Goals aimed at fighting poverty, inequality and climate change through 2030. Before being appointed ambassador, Lane served in the White House as assistant to the president and counselor to the chief of staff. Before that, he was president and CEO of the ONE Campaign, the non-partisan organization co-founded by singer Bono to fight extreme poverty and preventable diseases. From 2001 to 2007, Lane led public policy and advocacy efforts at the Bill & Melinda Gates Foundation. During the Clinton administration, he served as chief of staff to the Secretary of Commerce and executive director of the National Economic Council.